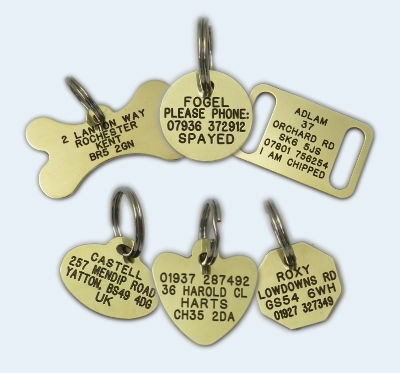 Pet ID Tags are one of the best ways to ensure the safe return or urgent medical care your pet may need. 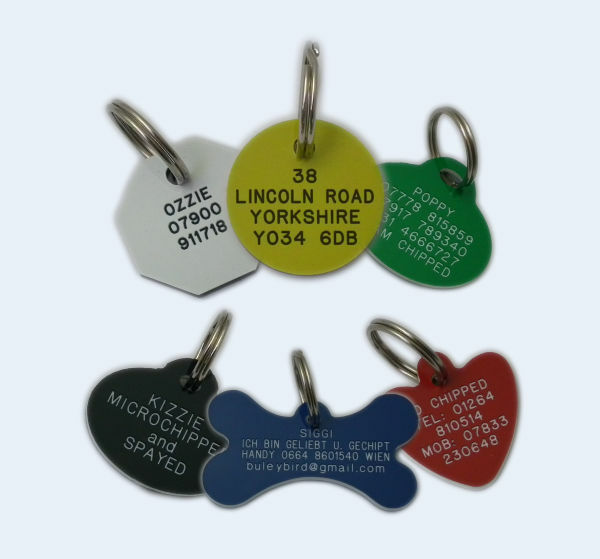 Our durable dog and cat tags come in a variety of materials, shapes and sizes so there is always a tag to suit your pet. Our tags are deep engraved and inlaid with black paint, before being highly polished. 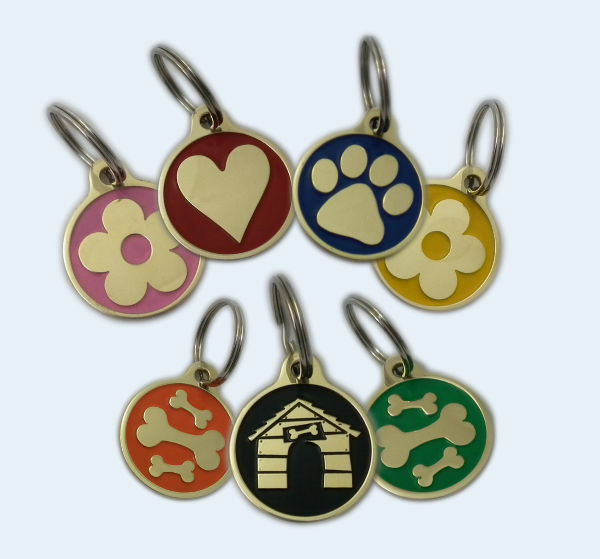 Each tag comes complete with a split ring for easy attachment to your pets collar. 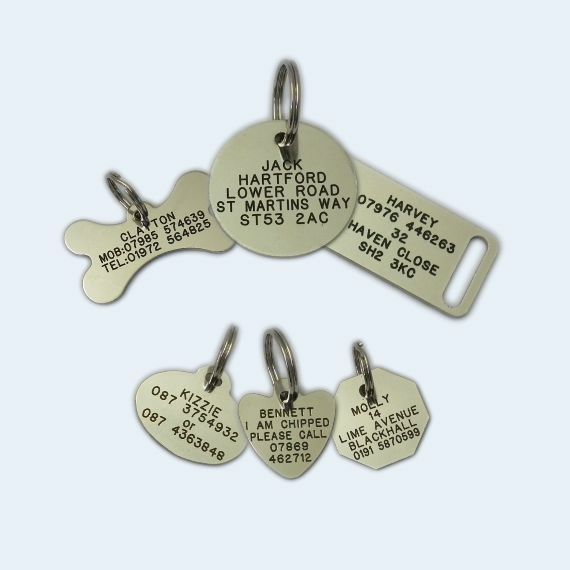 Browse these categories under "Pet & Dog Tags"
Featured products under "Pet & Dog Tags"